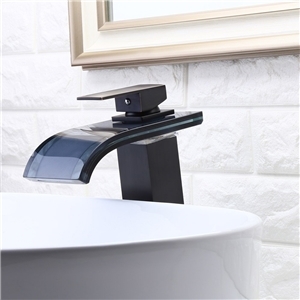 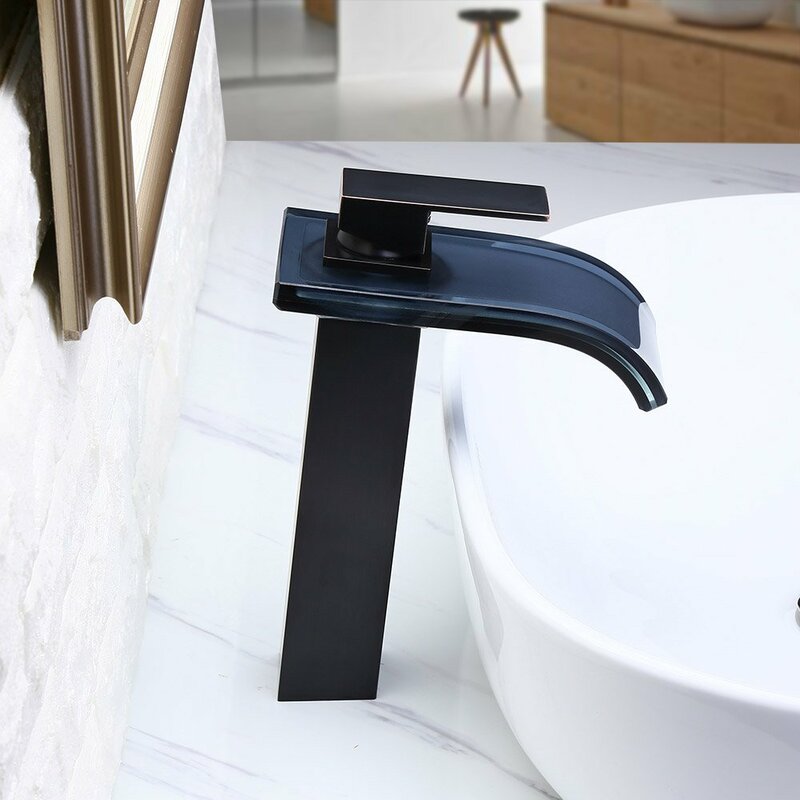 With mysterious black look, glass curved spout and flat handle, this LED bathroom sink faucet will add a modern sense to your elegant bathroom. 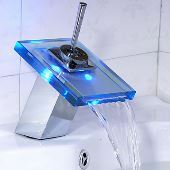 Made of glass material, the curved spout delivers waterfall. 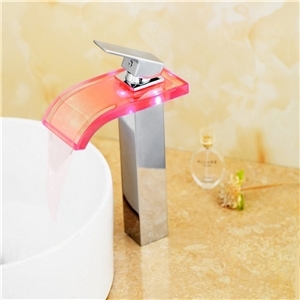 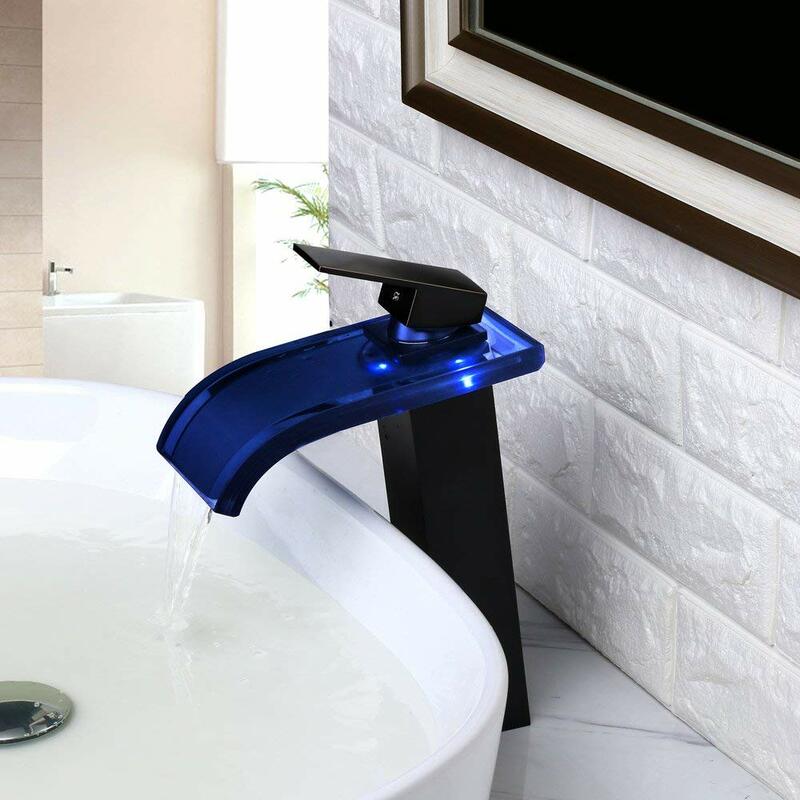 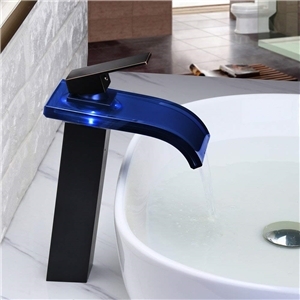 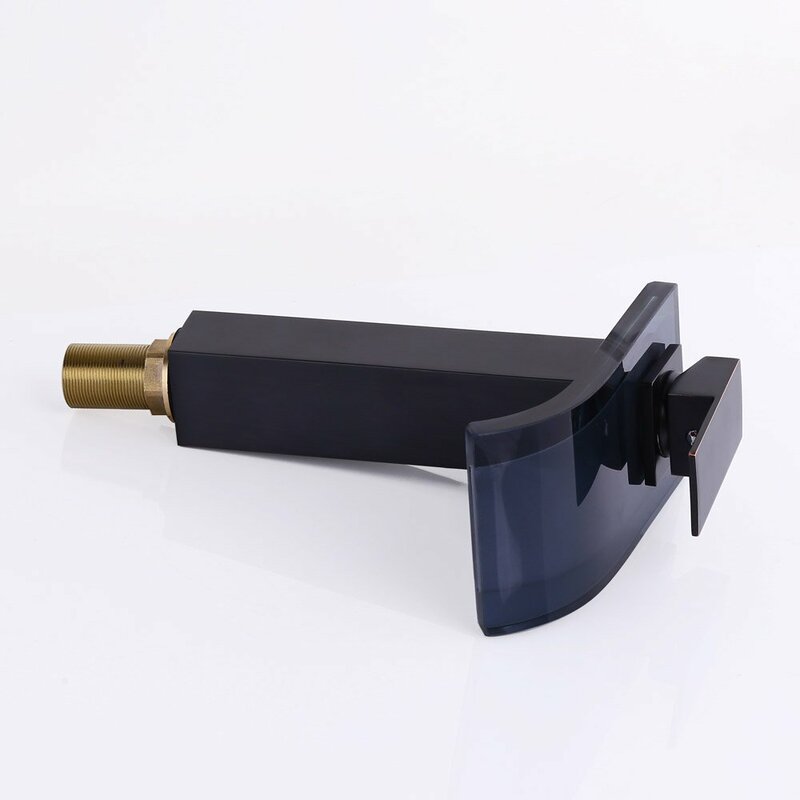 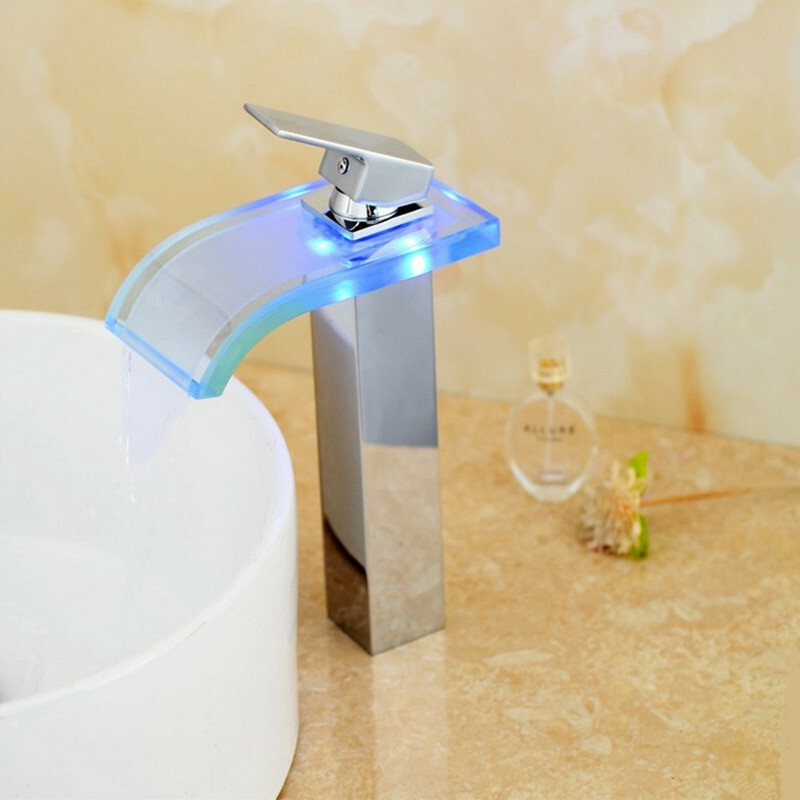 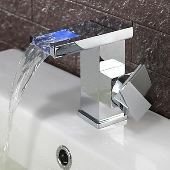 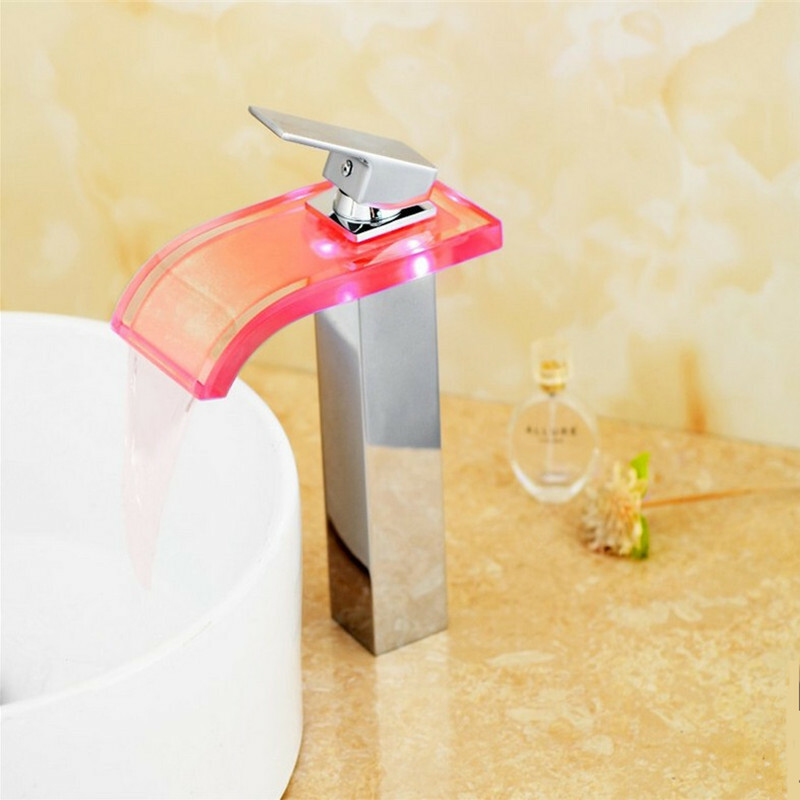 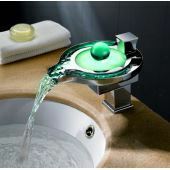 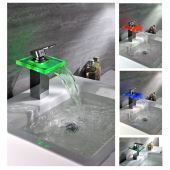 The square faucet body and flat handle is easy to clean, and the LED light shows the water temperature. 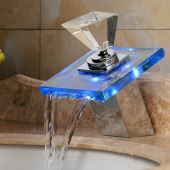 Don't hesitate to bring it home! 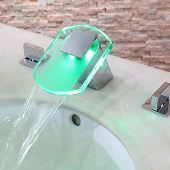 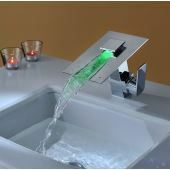 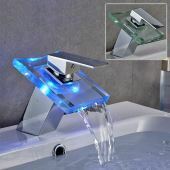 - The LED light is powered by water flow, and will be activated once the water is turned on. 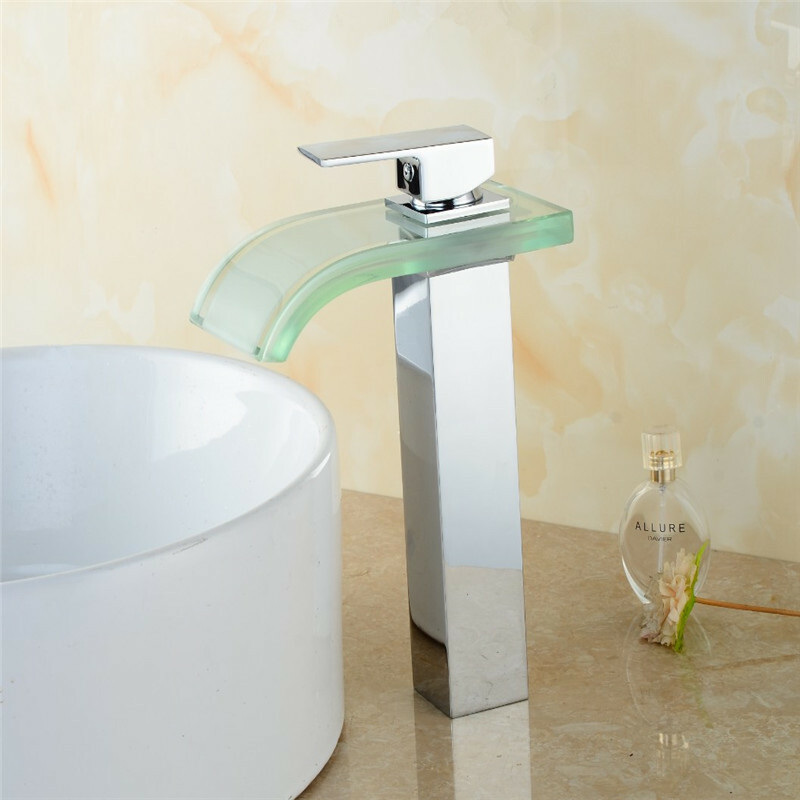 - Constructed from solid brass for durability and reliability. 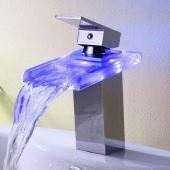 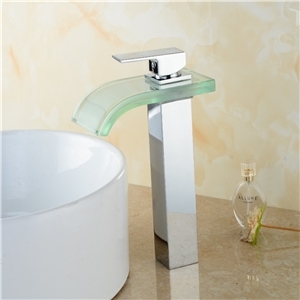 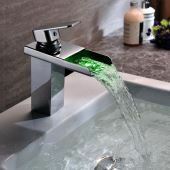 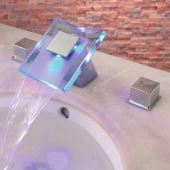 - Features a waterfall spout design that delivers a gentle cascade. 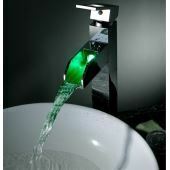 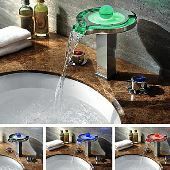 - Vessel faucet for above counter sinks. 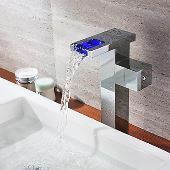 - Not suitable for low pressure. 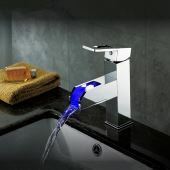 Minimum required water pressure is 0.1 MPa (1 bar). 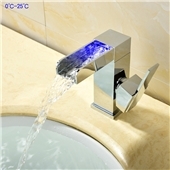 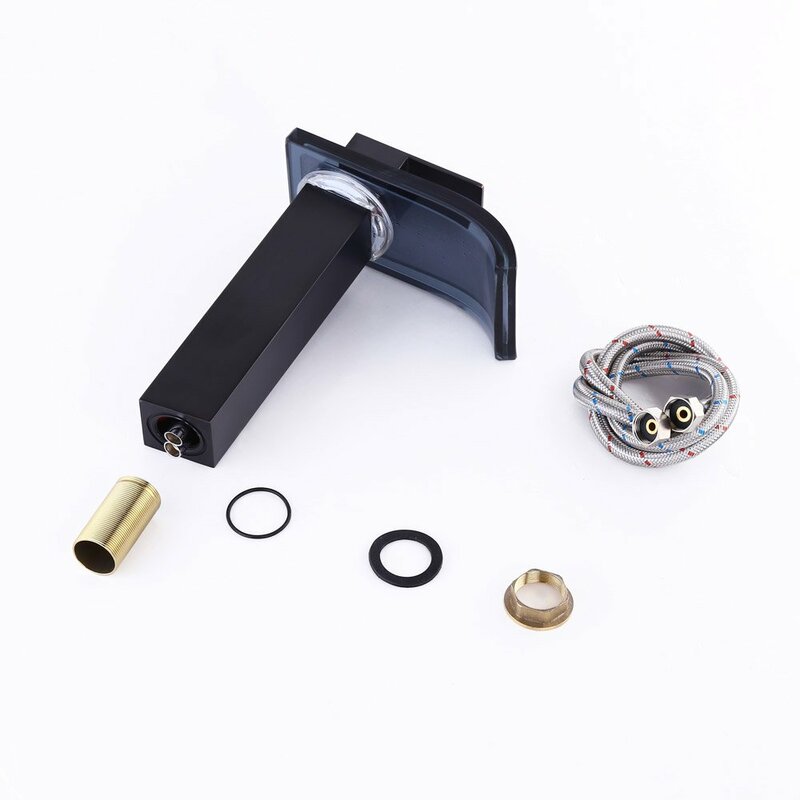 - All mounting hardware and hot/cold waterlines are included. 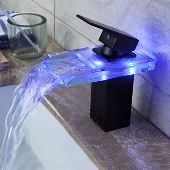 The lights are fun and everyone thinks it’s so cool. 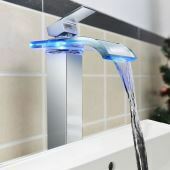 This is the second one we had. 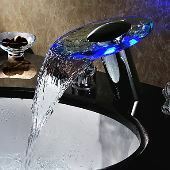 The first one bought from other store had a defect and the lights went out after a couple of months. We like the new one, and it looks to be high quality.